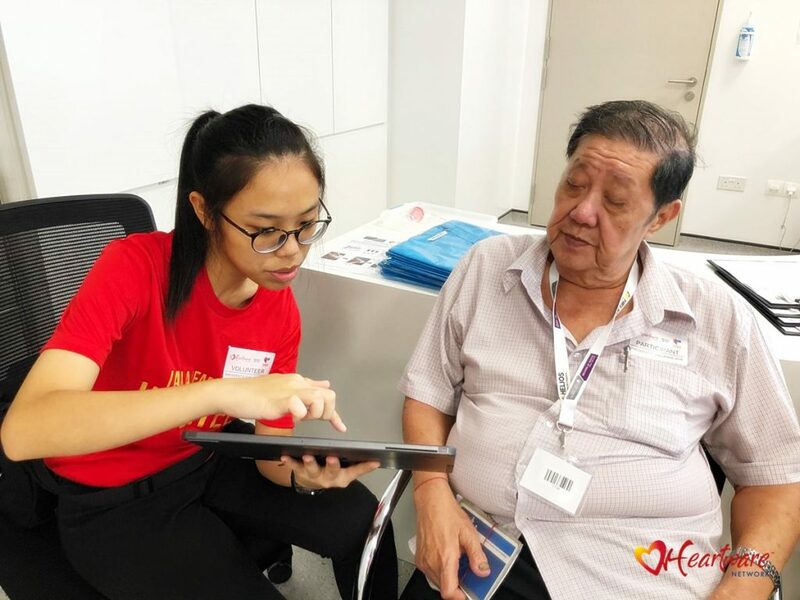 In September, I volunteered twice for the Health for Life in Singapore Study, or HELIOS, with Heartware Network. HELIOS was a study supported by Nanyang Technological University’s Lee Kong Chian’s School of Medicine, and involved the National Healthcare Group and Imperial College London. It aims to bring comprehensive health screening to 10,000 participants by end 2019. In this collaboration, Heartware gathered clients for health screening, especially those that don’t enjoy easy access. As volunteers, we escorted senior beneficiaries from their homes to the university where the health screening was conducted, and assisted them throughout. Arriving at the university for the health screening. I remembered that we arrived at Taman Jurong bright and early to receive our senior beneficiaries on the first day. 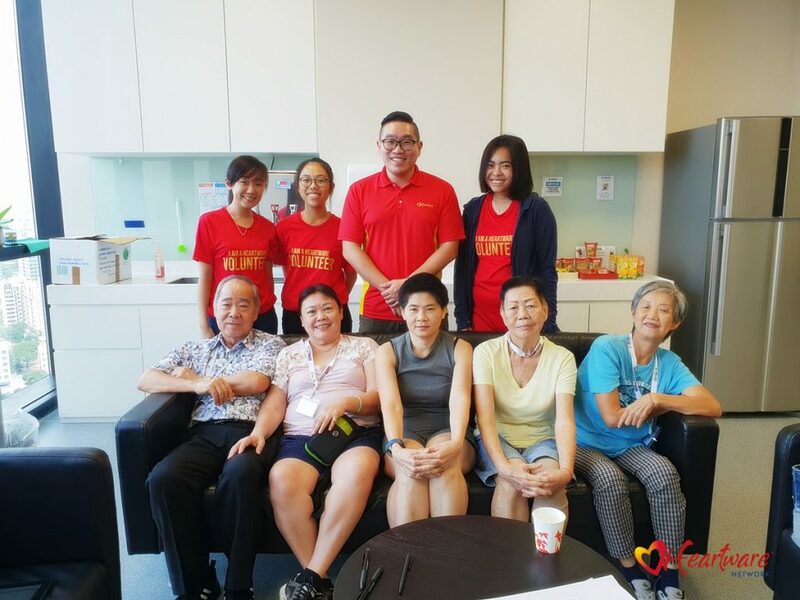 Together with another volunteer Shi Ting, we took care of an elderly couple. As we reached their floor, we already spotted them from afar, waiting for us at the door of their house. They were eager and ready to set off. Never hit your wife. Violence is never the answer. Don’t even show your fist! Talk through disagreements in private, and only after cooling down. All couples quarrel. It’s not the end of the world. Know your own weaknesses and strengths before getting into a relationship. Know each other first, before committing to each other. Open your eyes wide when you are choosing a partner. After you get married, close one eye to your partners’ flaws. Marriage is a commitment. Never entertain thoughts that others might suit you better. Such a lessons on kindness and human connection will stay with me, and prepare me for the future. Nothing wrong with showing your wife a bit of love even in public! 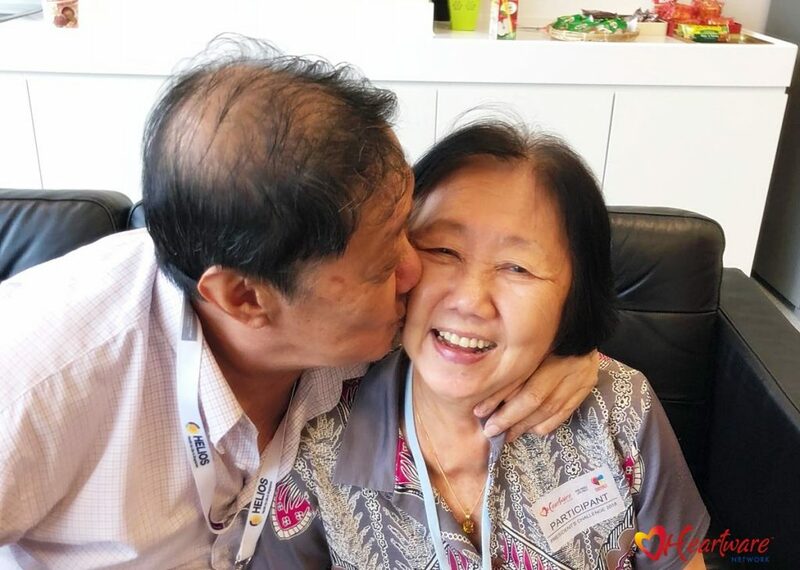 The process of bringing the seniors to a health check was initially nerve-wrecking as it was my first time doing so and I was unfamiliar with it. I worried if the beneficiaries felt uncomfortable, especially for the blood test. However, the staff at Helios were very professional and ensured that the beneficiaries were comfortable during the tests. I kept a look out for my beneficiary by giving him drinks and food, and chatting with him to keep him engaged. Thankfully, he was active and unafraid of blood tests, saying that at their age, a health check is required every few months and he is used to taking blood tests. There was also a battery of questionnaires needed to be filled up. It was challenging for the seniors to work through them on their own. There was a lady who was able to read, but left many blanks as she did not know how to complete them. When I helped her halfway, it was quicker; the beneficiaries had a much better experience with a volunteer’s help. But this was not without challenges for us volunteers too. The questionnaire was lengthy and it was difficult to keep the seniors focused. Not to mention, when we read out the questions for them in Chinese, I sometimes had difficulty reading and understanding some words. Tried my best explaining items in the questionnaire to my paired beneficiary. I thought I could definitely learn to communicate with them better, and in more fun ways too. The next time that I did the questionnaire with the beneficiaries, I was more familiar with the process and it was faster and less tedious. It also helped to constantly remind them the good purpose of the questionnaires. I think I even improved my Chinese along the way! Each time they spoke in dialects amongst themselves, I tried to understand and learn a little. I would say the beneficiaries that I interacted with during the two days I volunteered for HELIOS were a cheerful bunch and that it was a meaningful experience to get to interact with them. At the end of the day, seeing them happy made me feel happy too. I’m glad that they enjoyed our company. It was indeed a fulfilling experience to help them have an easier process going through the health check. I hope the results turn out great for them! Want to help our seniors? Recruitment for Support Our Pioneers 2019 is now open!